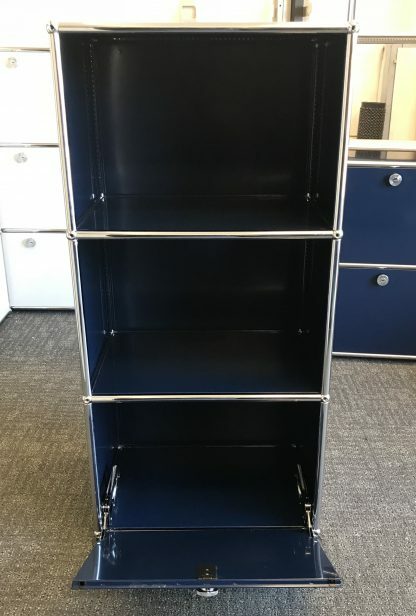 I have a stunning USM Haller modular storage unit to offer. 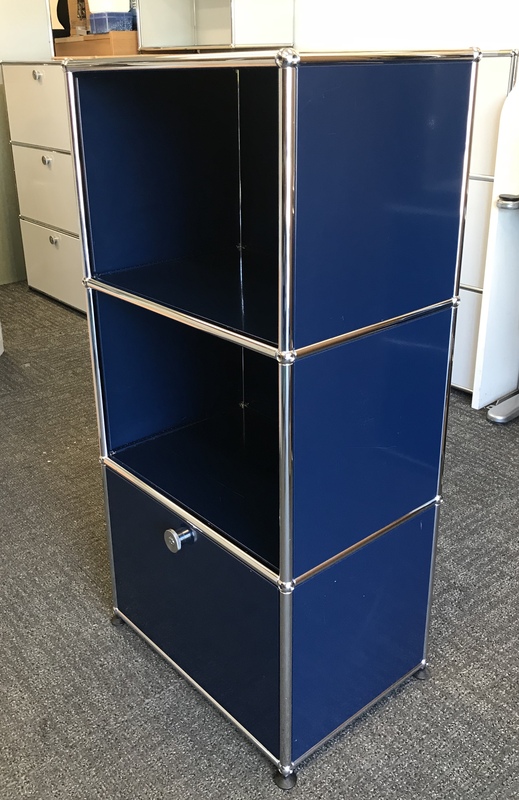 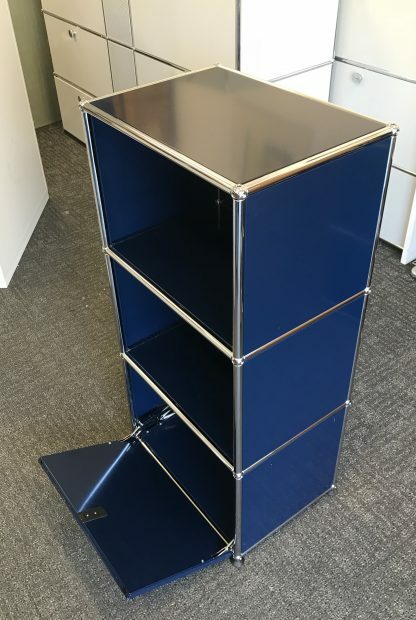 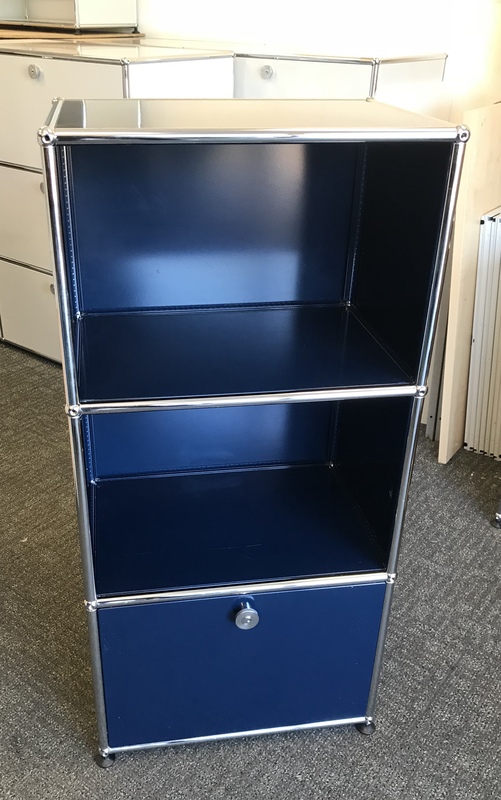 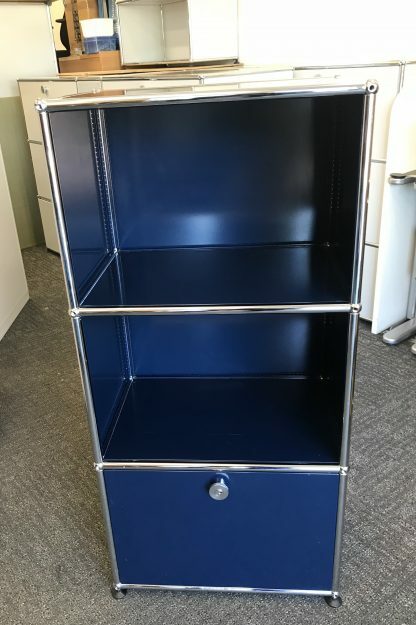 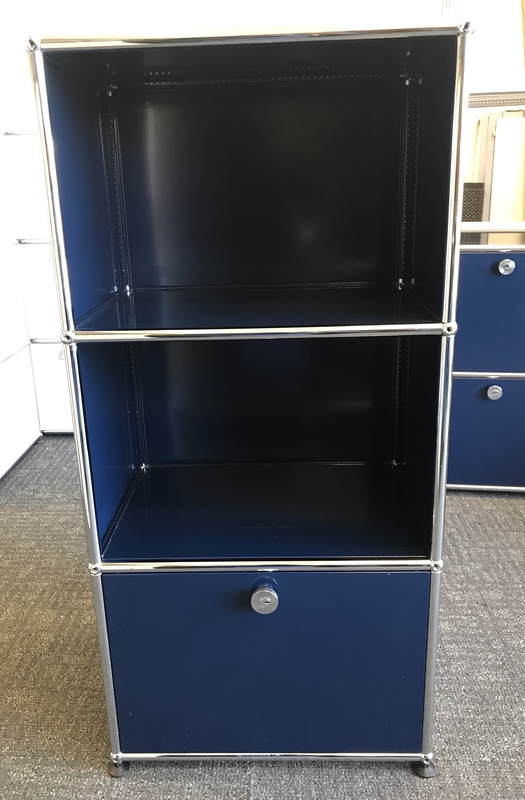 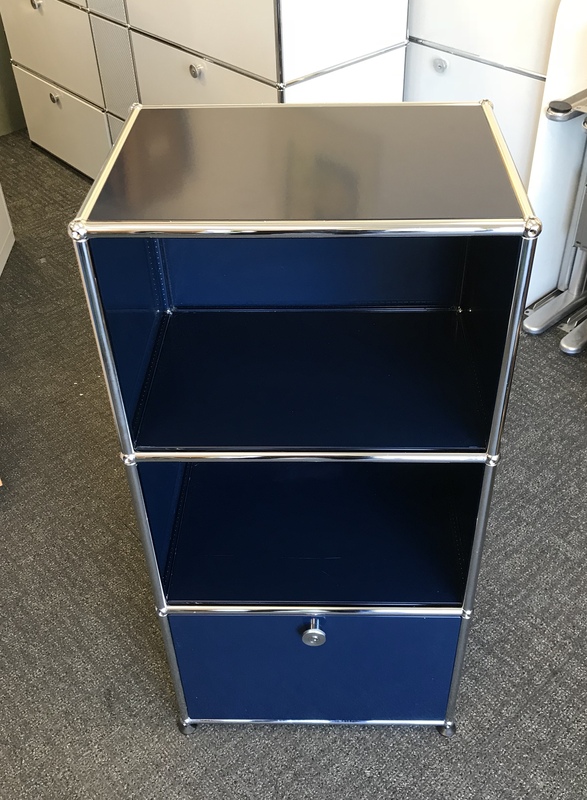 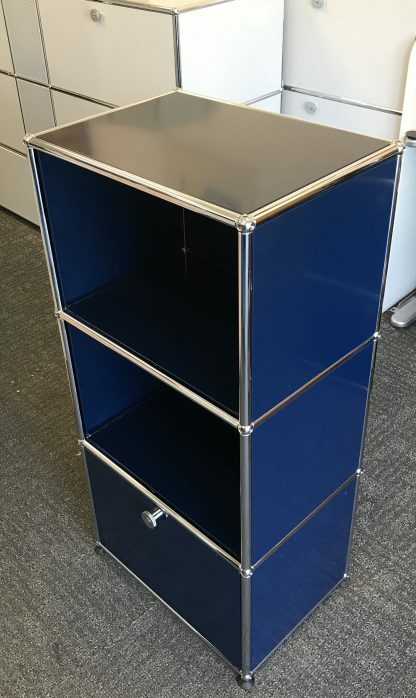 Available in USM blue, this unit has open fronted top 2 compartments and a flip-down door on the bottom compartment. 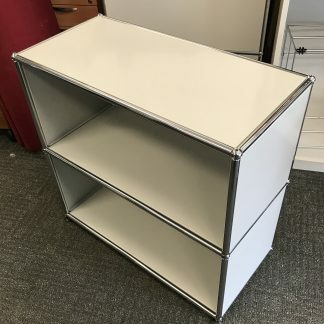 This unit is an excellent size and really is a stunning and attractive piece. This is a used unit which is in great condition throughout and we have a key for the door compartment. 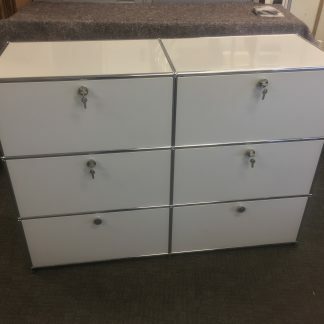 Yes, there maybe a few scratches or marks on some of the panels but nothing major nor does it affect the stunning appearance of this piece. 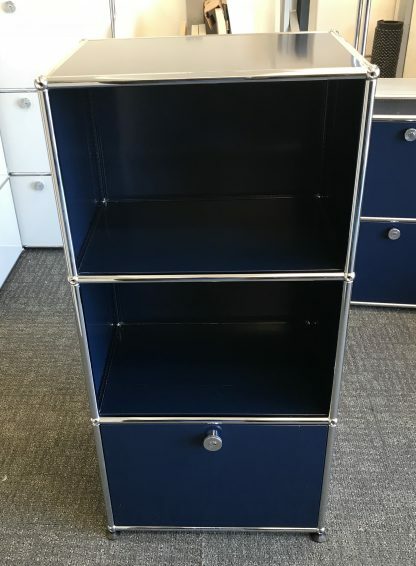 Please feel free to contact us on should you have any questions about this unit. 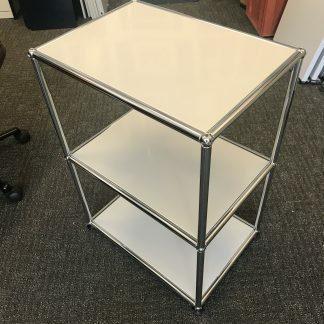 Good luck, thank you for looking and happy bidding.